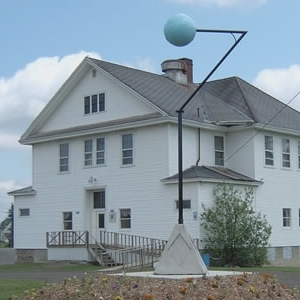 The planet Uranus—located in Bridgewater as part of the Maine Solar System Model that stretches from the University of Maine at Presque Isle to Topsfield, Maine—will soon be taken down for repairs. The planet will be “out of orbit” through the winter, while the surface will be re-covered by Robert Collins’ auto body class at Northern Maine Community College. This will be the third planet to be refurbished over the last year and a half. Jupiter and Neptune were out of orbit over the past winter. 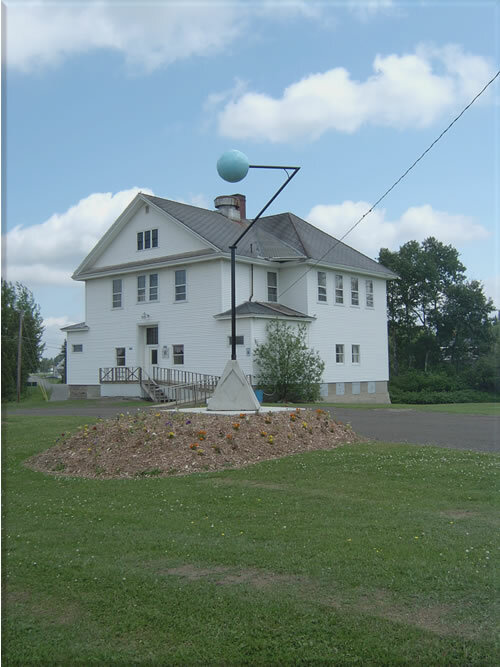 The Maine Solar System Model is the largest scale model of the solar system in the Americas and was built by the community of Northern Maine, with participation from many local individuals and companies. “NMCC is pleased to have the opportunity to continue partnering with businesses, agencies, and educational institutions to maintain this outstanding educational model and tourist attraction,” Dr. Dottie Martin, Dean of Development and College Relations, said. With NMCC’s help, this planet is expected to have a much longer life span. Updates to the sun may also be in the works. The current sun is located in Folsom Hall and is the only object in the model that is displayed two-dimensionally, painted in the hallways of the three-story building. The University is working on plans for a three dimensional representation of the sun to be located outside of Folsom Hall. An expanded and improved brochure for the Maine Solar System Model is also in preparation. McCartney said a recent examination of the upper surface of Saturn using a drone shows this planet to be presently weathering fairly well, though refurbishment is planned over the next couple of years. The Maine Solar System Model was built over a period of four years, from 1999 to 2003, with dwarf planets added in 2008. Established by the University of Maine at Presque Isle, the Northern Maine Museum of Science, and the northern Maine community, it is the largest solar system model in the Western Hemisphere, with both the planet diameters and distances from the Sun set to a scale of one mile equal to an astronomical unit (AU, the distance from the Sun to Earth). The model consists of a 50-foot diameter Sun and extends 95 miles to the dwarf planet Eris, which is about one inch in diameter, in Topsfield.